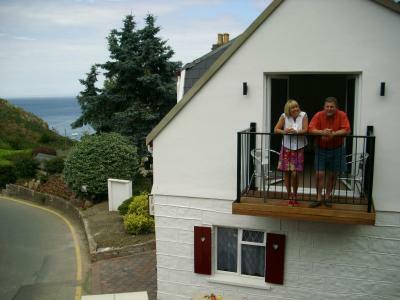 Lock in a great price for Undercliff Guest House – rated 9.5 by recent guests! The hotel was very clean, organized, and in a quiet location which we preferred than been in a noisy, crowded St. Helier large hotel. My aunt, my cousin, and I fell in love with the owner and hostess- Aida- who was extremely helpful, kind, and always attentive! She even drove us to the local pub for dinner at no charge on the day we arrived to the hotel! She was constantly asking us if we needed anything else in our rooms like more milk, orange juice, cereal, eggs etc..... I would highly recommend this hotel to friends and family members! 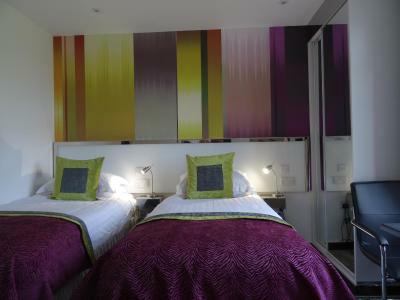 I would definitely stay in this hotel in the future if I ever return to Jersey Island! Great family experience!!!!!! Everything was perfect, Continental breakfast was excellent! Staff provided us with plenty of food, the room was beautiful, great view! The staff was very helpful and soooo nice! They felt like family to me, I was traveling alone and didn't feel scared or alone at all. There's a great pub less than two minutes away with incredible food!!! They went above and beyond to make me feel at home. The pictures provided do not give the room or view justice, it's something you have to see in person! I stayed at a very expensive hotel in New York and the room I stayed in was much cleaner and up to date,and inexpensive!! I will be saying here next May and am already counting the months!! 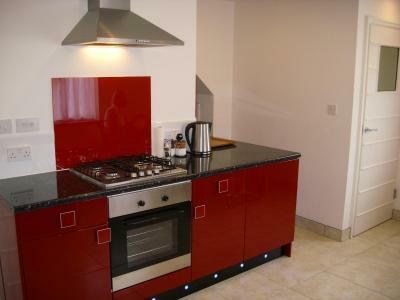 This was a self catering appartment but with breakfast included. Everything you could need for breakfast was there for you in the kitchen, fruit, eggs, bread, cereal, juice etc. So you could have breakfast as early or as late as you wanted. Anything you used was replaced for the next day. We thought this was a great idea. The area around Undercliff is secluded but it suited us as we like to walk We also thought the hill up to the shop in Trinity was not a particular problem and the shop it’s self had all we needed. In all we really ejoyed our stay. 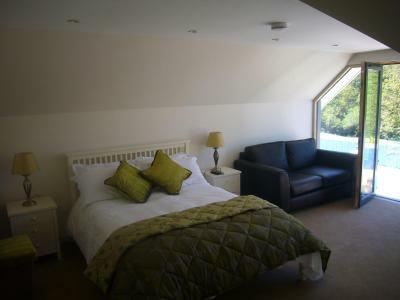 The accommodation was extremely good, with a large lounge and large balcony area. The owners were exceptionally helpful and friendly. Highly recommended. The bed was extremely comfy. It was a bonus having a heated outdoor pool. The hosts were extremely friendly and helpful. They went out of their way to make sure we had everything we needed for breakfast. It was great having a microwave in the room. It enabled us to buy meals for one and heat them up for our dinner. Great when you are on a budget. Very friendly owner. Breakfast left in fridge so you can have whenever you wish. Microwave in room very handy too. Heated pool available. We could see France on a clear day from our window. The owners were very welcoming and also made us feel at home. Sights from the room in the morning was awesome, nice location by the beach. The free continental breakfast was excellent and being able to request cooked eggs as a free extra is a bonus. 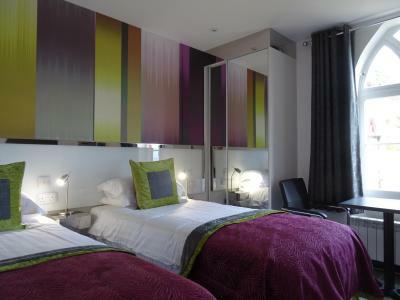 The room was lovely, very clean and modern with an extremely comfortable bed. Tv and wifi worked perfectly. 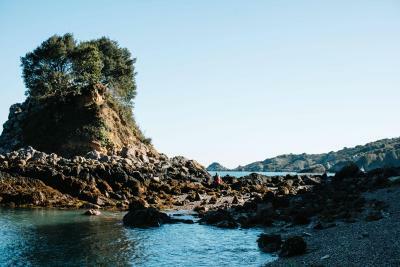 Very close to Boulay Bay which has a pebbles beach and is used for scuba diving as it is a really deep bay, this also means it is very cold water though. 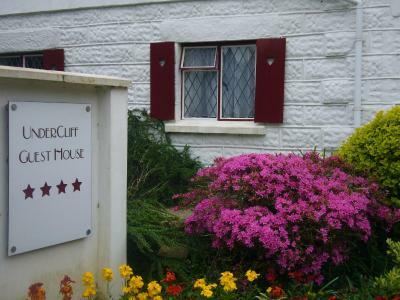 Undercliff Guest House This rating is a reflection of how the property compares to the industry standard when it comes to price, facilities and services available. It's based on a self-evaluation by the property. Use this rating to help choose your stay! 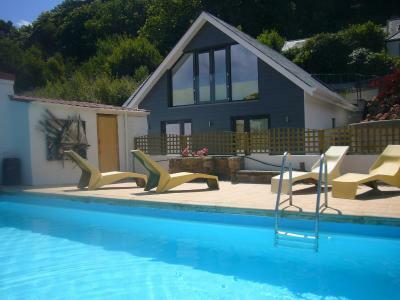 Overlooking Bouley Bay, this 4-star guest house with an outdoor swimming pool occupies an countryside setting in Trinity. 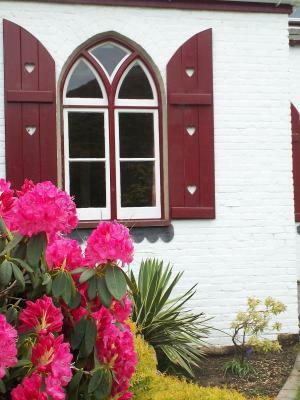 Originally built 200 years ago, the guest house maintains some original features. 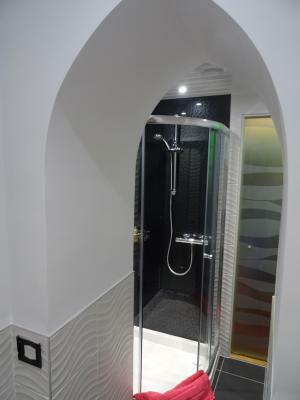 Free Wi-Fi is accessible throughout and each individually designed room has a shower room and kitchenette. 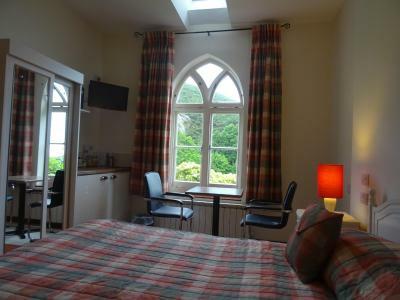 Some rooms also have sea views. 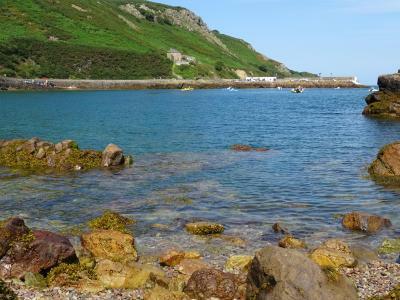 The perfect base from which to enjoy a number of coastal path walks, Undercliff is the only member of the British Walking Federation (B.W.F) in the Channel Islands. 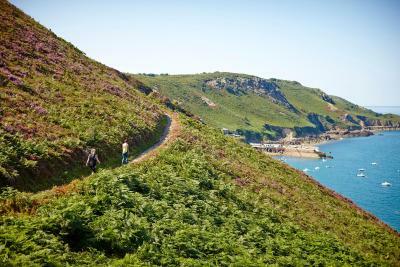 As such, it provides over 11 well signposted walking routes around the island, ranging from 10-20 mi in distance. 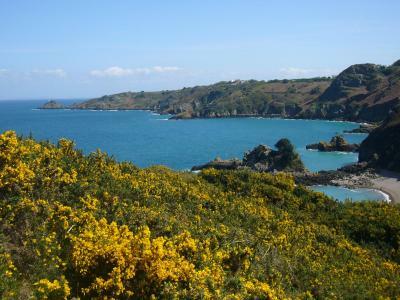 Undercliff is also well located to explore the many attractions that Jersey has to offer, including: Jersey Zoo, founded by Gerald Durrell, which also features 2 crazy golf courses; and the island’s capital, St Helier. 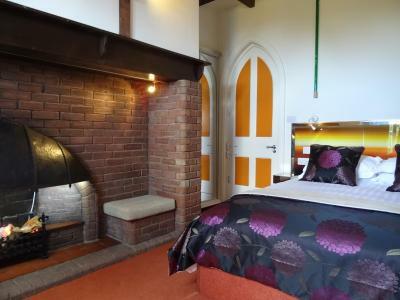 This property is also rated for the best value in Trinity! Guests are getting more for their money when compared to other properties in this city. 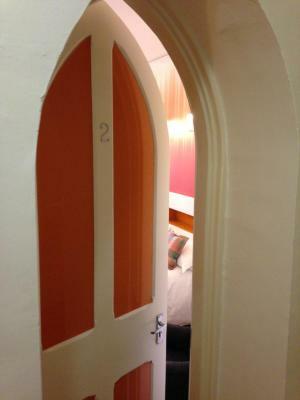 When would you like to stay at Undercliff Guest House? 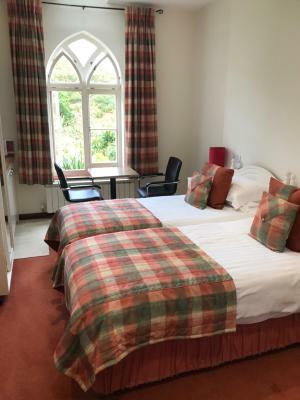 This double room includes a free continental breakfast and garden and sea views. 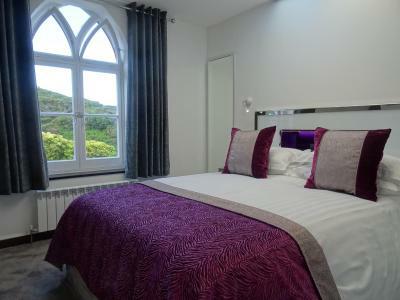 Guests will find a queen-size bed and an en-suite shower room. 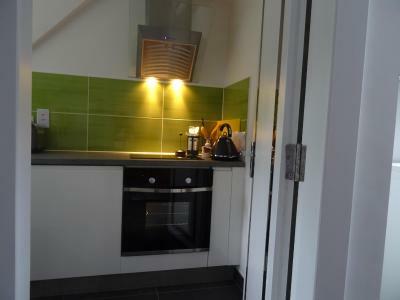 There is a kitchenette with a fridge, kettle, toaster, microwave and a coffee machine and table. Free WiFi is available. 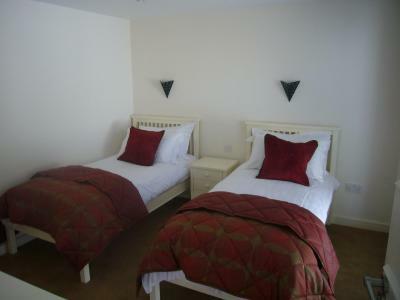 This self-catering twin room offers a free continental breakfast. 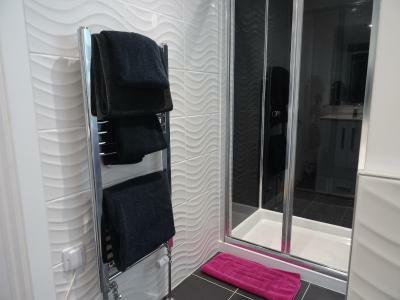 Guests will find 2 single beds and an en-suite shower room in the room. 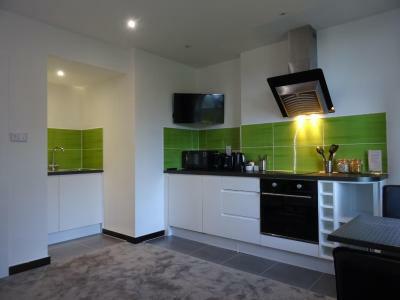 There is a kitchenette in the room, which provides a fridge, kettle, toaster, microwave, a coffee machine and dining table. 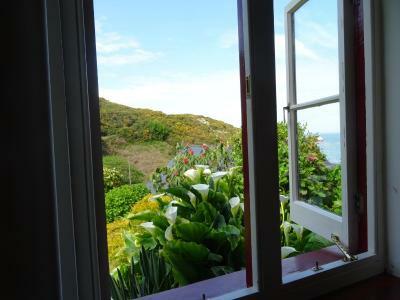 Guests can enjoy garden and sea views from the room. Free WiFi is included. 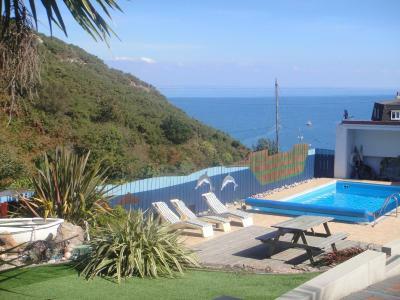 Offering lovely views over the garden and pool and onto the sea beyond, this villa has a downstairs twin bedroom with a sofa bed. 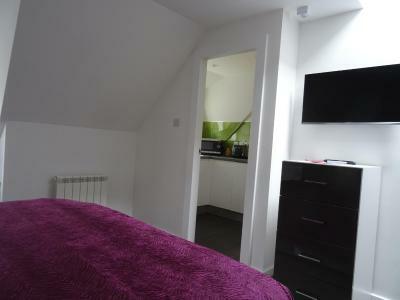 Upstairs there are 2 double rooms each with an private bathroom. A large kitchen opens onto a patio and garden area. 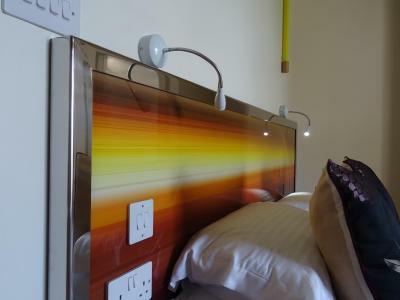 This self-catering junior suite features a kitchenette with an oven, a 2-ring stove, toaster, microwave and a coffee machine. 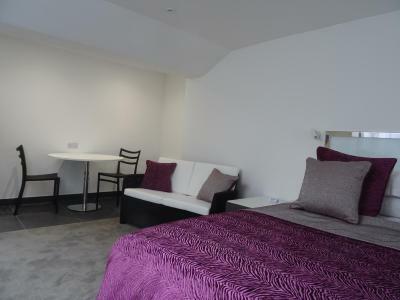 There is a living area with a dining table and sofa in the suite. 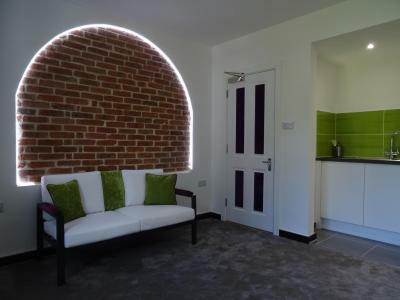 This apartment has a seating area, kitchenware and garden view. 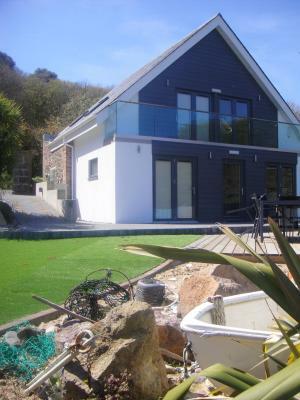 House Rules Undercliff Guest House takes special requests – add in the next step! Undercliff Guest House accepts these cards and reserves the right to temporarily hold an amount prior to arrival. Additional charges apply for all payments made by card (no charge for UK debit cards). Please note that payment will be taken on departure. Please note that on Sundays, the reception is closed from 13:30 until 19:00. American Express cards are not accepted at this property. Please inform Undercliff Guest House of your expected arrival time in advance. You can use the Special Requests box when booking, or contact the property directly using the contact details in your confirmation. 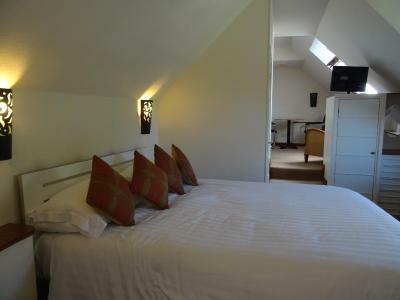 Friendly staff, clean room and well equipped. 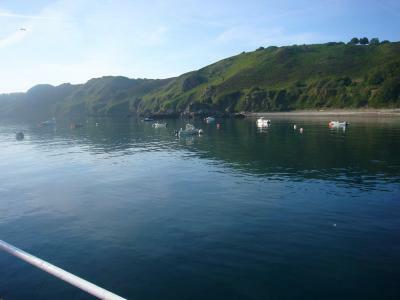 Location had no evening meals facility and as the nearest pub was a long walk up a very steep hill, it was not ideal Definitely need a car as Bouley Bay has limited resources and bus service is limited especially in the evenings. The nearby pub had shut down so all facilities were a drive away or a long walk up a steep, winding hill. The guest house is very isolated with nearest tiny shop about half an hour walk away up a giant hill. Driving is almost essential. There are no attractions nearby and the bus is quite expensive. I felt the guest house was a little expensive so not great value for money. There is absolutely nothing we didn't like. Can't think of anything at all as it was all just wonderful. The only thing we couldn't find were egg cups for boiled eggs should you want them. 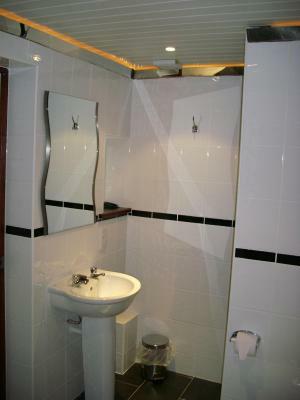 Other than that, everything had been thought about in great detail for your comfort and relaxation. We loved everything about our stay! The property is lovey and in a really peaceful and beautiful location. The facilities in our suite and the suite itself exceeded expectations and was so lovely and comfortable and everything was thought of. 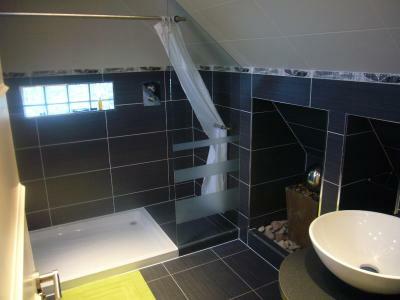 The bed was large and super comfy and the shower cubicle was huge and with a great shower and bathroom in general. The kitchen had everything you needed and the breakfast provided was just amazing! Lovely platter of mixed fruit every day as well as yogurt, fresh orange juice, eggs etc. The owners, Richard and Ida, were just lovely - so kind and helpful - really nice people. I would highly recommend! Not really convenient if you are self catering unless you have a car because the nearest shop is a good walk away up some very long steep hills. Also, the nearest pub to buy dinner is a good walk away and does not serve food every evening. 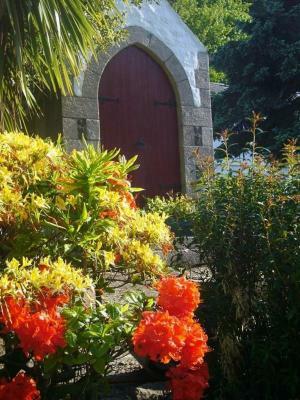 This guest house is in a remote area on the north coast. Great for walkers or those who like to relax on the beach or swim in the sea. 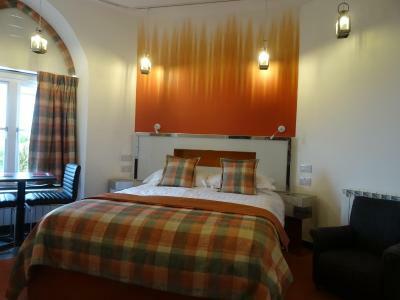 The rooms are very modern, stylish and comfortable and a wonderful continental breakfast provided even though we were self catering. We stayed for four nights and the room was cleaned and towels changed every day. We would love to visit again but would perhaps consider hiring a car. There is a bus stop fairly near but buses are only every two hours. 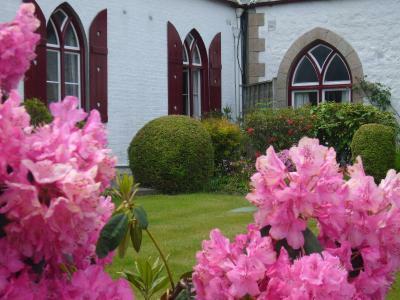 Superb accomodation, terrific breakfasts, helpful hostess. 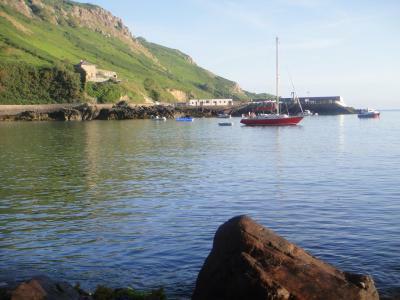 Not a fault with the accommodation but its a shame the local pub in Bouley Bay, the Black Dog, has closed as it would have been nice to wander down for a drink and have a local option for an evening meal. Stayed in the Reef Villa. 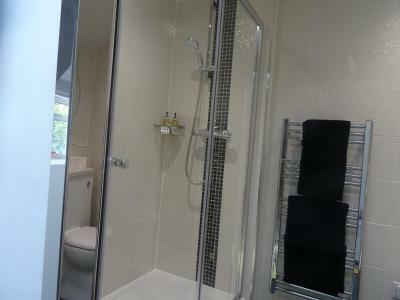 Very clean, spacious and modern design and fittings. Only the 2 of us so more space than we needed but would be ideal for a group of 4 or 6. Lovely setting and bonus of having a shared pool too.